At our house we have one cookbook author that we turn to for creative, nutritious recipes over and over…Patricia Wells. 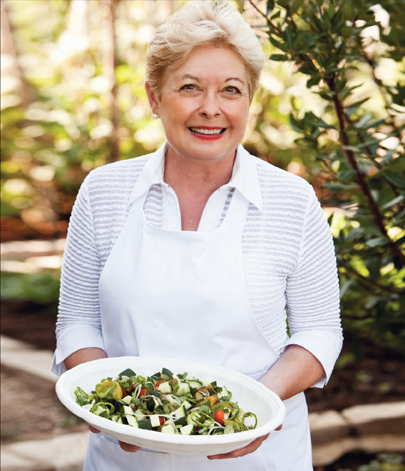 The release of her new cookbook, Salad as a Meal, on April 5th. couldn’t be better timing. Our thoughts will (finally!) be turning away from snow and moving toward sunshine and outdoor eating! I know I could use a bit of Provence right now, and I bet you could too! I had the privilege of tasting most of these recipes firsthand while this cookbook was being photographed in Provence by my husband, Jeff, and they are fabulous! Looking forward to hearing your Sunday suppers stories! Salad as a meal, what a thought! other than chicken caesars and the like I’m at a loss. I just might have to check out this cookbook!